If you are new to music, this class is essential for your induction into Core music studios. Understand the fundamentals of making music through rhythm, melody and harmony. Play instruments from percussion to guitar and keyboard; and learn how to keep in time and improvise within a group. Focus on the practical elements of music and learn about scales, keys, chords, and composition. Explore music, listening to a wide range of genres to reveal their structure and arrangement. Each session involves the group working together to create a piece of music. As you develop your confidence, you can introduce music of your choice and discuss adapting and arranging the music with the Tutor. This class can give you the opportunity to start writing your own music and explore new musical projects. Once the group have rehearsed a piece of music and feel ready to perform in the music studio, your Tutor can arrange and facilitate a recording session. 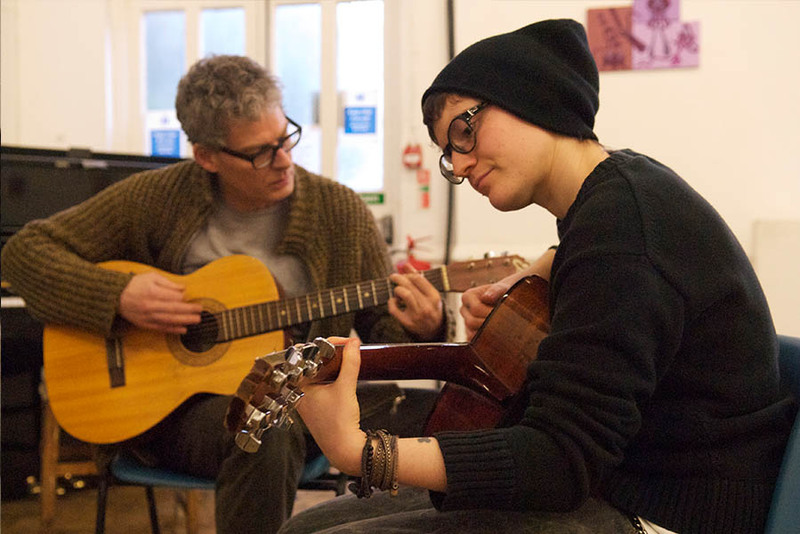 After attending this course, a natural progression would be into classes in: guitar, bass, kit drumming and keyboard classes, intermediate and advanced music classes, and taking part in the Jam sessions.